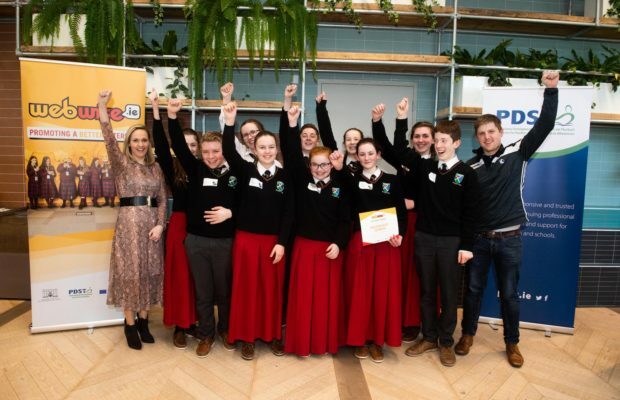 Students from Gaelcholáiste Luimnigh and Ard Scoil Mhuire were amongst the winners announced by Webwise at the Safer Internet Day Awards 2019. This was the competition’s first awards ceremony, held at Microsoft’s dedicated innovation and education hub, DreamSpace. Gaelcholáiste Luimnigh won the Best Overall Campaign Award for their project for Safer Internet Day including an Oscars event with videos created by the students and premiered at a special event in Odeon Limerick. 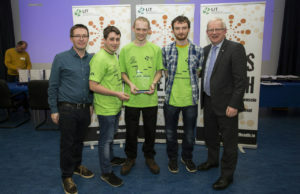 The award for Best Use of Technology went to Ard Scoil Mhuire for their project: The Safety Net Podcast. The competition continues to grow, with schools across Ireland submitting projects. Categories in this year’s competition included the best use of technology, best campaign, best use of social media and more. 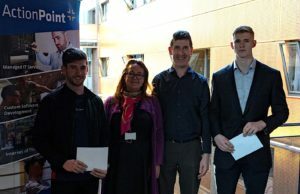 The winning schools and students received their awards at an exclusive award ceremony with surprise gig with popular Irish band; Chasing Abbey in Microsoft’s dedication innovation and education hub, DreamSpace at the company’s headquarters in Leopardstown. Safer Internet Day 2019 saw 145,000 students across more than 550 schools in Ireland participate. This is a record number of young people joining in Safer Internet Day in Ireland and marks more than a 30% increase, almost 45,000 more students, involved this year. The winners announced today represent the best in class for online safety initiatives and campaigns. Almost two hundred students from fifteen second-level schools across Ireland were awarded for their Safer Internet Day campaigns and initiatives. 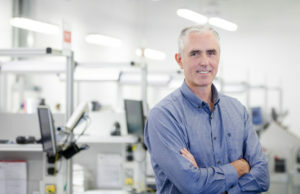 Kevin Marshall, Head of Education at Microsoft Ireland added: “We’re delighted to welcome the winners of the Safer Internet Day Awards to our educational hub, DreamSpace, a dedicated space where students are inspired to unbox their ambition, spark their creativity and supercharge their ideas. By educating young people about internet safety, we empower them to unlock new skills and create the workforce of the future. In Dreamspace, we encourage students to think differently, be creative and work together and we want to congratulate this year’s winners for showcasing these values.